Intel has completed work on a 64-bit version of Android OS for x86 smartphones, and the software will be ready to load on handsets with its upcoming Atom 64-bit chip code-named Merrifield. Intel has been making code contributions to the 64-bit version of Android 4.4 code-named KitKat. Intel has completed the kernel work, which will ensure the OS is compatible with smartphones, said an Intel spokeswoman at the International CES expo in Las Vegas. But 64-bit Android could reach tablets first. Intel said 64-bit Android tablets powered by its Atom processor code-named Bay Trail will become available in the first half of this year. The tablets are expected to sell for as low as $150. The code completion paves the way for device makers to load 64-bit Android and their own user interfaces on devices. A full 64-bit Android is not yet available on smartphones or tablets. Intel also hopes developers will start writing 64-bit applications for Android smartphones running on Atom chips, the spokeswoman said. Intel is expected to shed further light on 64-bit Android and the Merrifield chip, which is targeted at high-end smartphones, at the Mobile World Congress trade show in Barcelona next month. Intel did not talk about smartphones at CES, instead focusing on tablets, hybrids and wearable electronics. The race to 64-bit on smartphones gained steam when Apple introduced the A7 chip in the iPhone 5S in September last year. Mobile devices can have more memory with 64-bit chips, which could indirectly speed up applications. While 64-bit chips are in most PCs today, their utility in smartphones has been debated due to limited storage and processing power available in handsets. Beyond the iPhone 5S, most of the chips that go into smartphones are 32-bit. Intel is still trying to find its bearings in the smartphone market, which is dominated by ARM. Intel has adopted Android as the OS of choice for smartphones running on its chips, and getting to 64-bit could give the chipmaker a head start over rivals. Chip makers like Qualcomm, STMicroelectronics and others have announced ARM-based 64-bit chips, and Samsung is not far behind. Merrifield will be made using the 22-nanometer manufacturing process. Intel in November updated its roadmap to include new smartphone chips that will start shipping in the second half of this year. At CES Intel also said that Bay Trail tablets with a 64-bit version of Windows 8.1 will become available in the first quarter. Current Bay Trail tablets with Windows are 32-bit, and software incompatibility issues delayed 64-bit tablets. 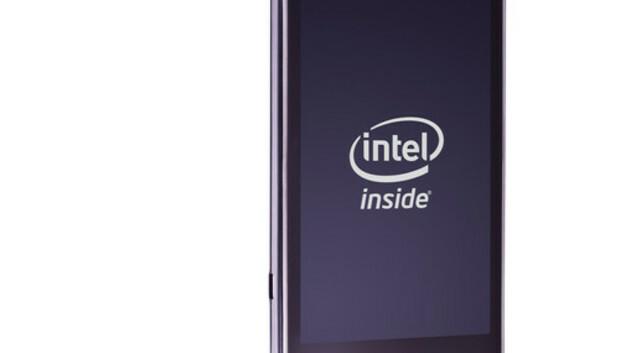 Tablets with Intel's Haswell chips already work with 64-bit Windows.